Born an island of both fire and ice, where land and sea meet in one of Earth's most epic battles, is where we discover the Big Island of Hawaii towering above the crashing waves. Home to two of the world's greatest mountains, one of the world's most active volcanoes, 11 of the world's 13 climate zones, Hawaii's greatest king, and the wettest city in the United States, the Big Island of Hawaii is an island like no other. It is an island of such proportions that all of the other islands in the main Hawaiian chain could fit inside it twice. Often called the "Big Island" (or "Big I") to help distinguish it from the 1,500-mile-long archipelago with which it shares its name- Hawaii- the Big Island has certainly earned its moniker. Sitting in the middle of the Pacific Ocean, the landmass of the Big Island is approximately the same size as the state of Connecticut, about 4,050 square miles, and is still growing daily thanks to Kilauea Volcano on the eastern coast of the island. The Big Island is not to be missed, so in order to help make your Hawaiian dreams a reality we have assembled all the important Big Island information you need right here. From when to travel to finding the perfect tour, we have what you need. Plan, book, and go with Hawaii Guide. Mahalo! Truth be told, all of the Big Island of Hawaii is fascinating and worth a visit. However, some Big Island attractions are significantly more popular because they offer an experience that truly captures the magical essence of the state's largest island. Most Inspirational, Must-See, Top Picks, Best of the Big Island... no matter what you label them, you absolutely must witness these attractions for yourself. We say the Big island is big- and we mean it! With so many different climate zones and vastly different landscapes to explore, it can be hard to decide which part of the island to visit. Browse the regions below and learn about the many things to do, what to expect, and the diverse attractions on the island. Our Guide's Choice Award is our most distinguished award, presented annually to Hawaiian tourism-related companies that are handpicked by our travel experts. The Guide's Choice Award is presented across two tiers within the state of Hawaii: county (e.g. ; Big Island) and statewide. This past fall, Guide of US and Hawaii Guide carefully handpicked and nominated a limited and exclusive group of Big Island tourism-related candidates for the upcoming year's Guide's Choice on the Big Island of Hawaii. 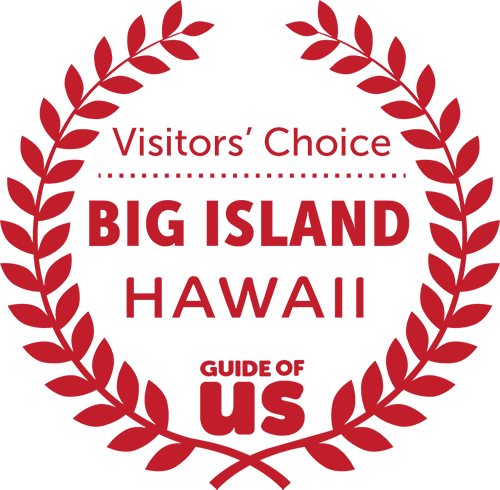 Each Guide's Choice Award on the Big Island includes a yearly timestamp to distinguish the annual interval of the award. Nominees can receive the Guide's Choice year after year, on an annual basis. 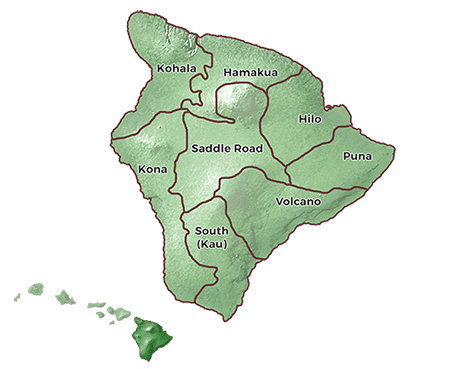 Stay up to date with our most recent articles about the Big island.